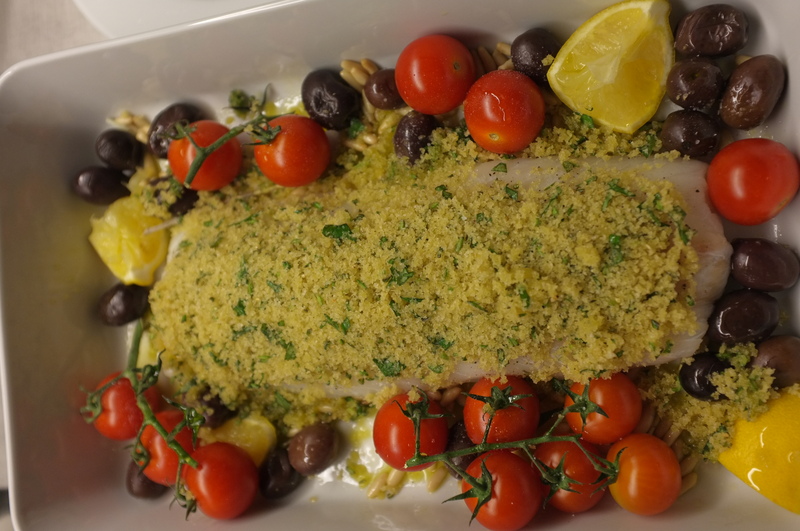 For about 500 g of cod fillet, prepare a topping with 50 g of breadcrumbs, chopped herbs (rosemary, thyme, and/or sage), salt, and lemon zest; add enough olive oil to moisten the mixture and make it stick. 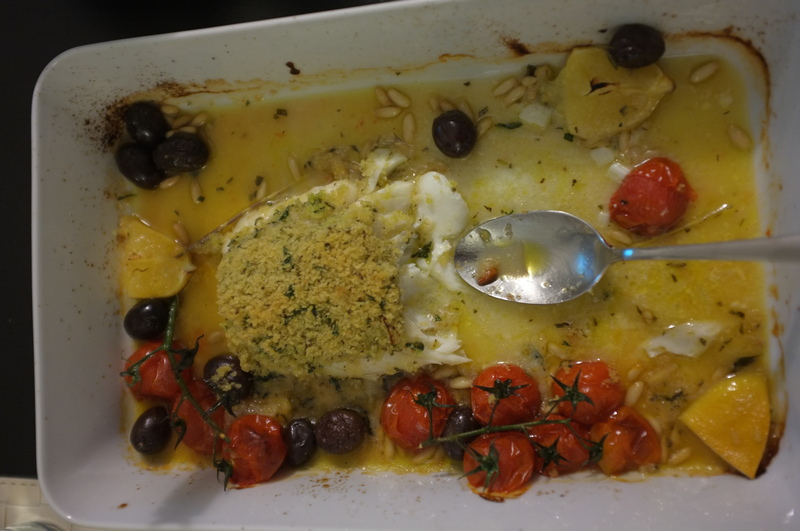 Place the topping over the cod in a large oven-proof dish. Add kalamata olives, cherry tomatoes, a handful of pine nuts, and quartered lemon. Bake at 200˚C, between 20 and 30 min.